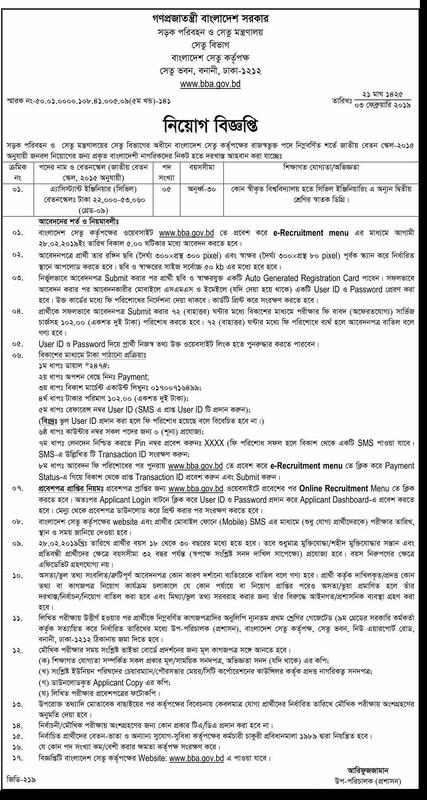 Ministry of road Transport and bridges job circular 2019 has been converted to an image file,so that everyone can read easily and download this office of the Ministry of road Transport and bridges job circular. If you want to apply for this job,you should submit your application within 28 February & 14 March 2019. 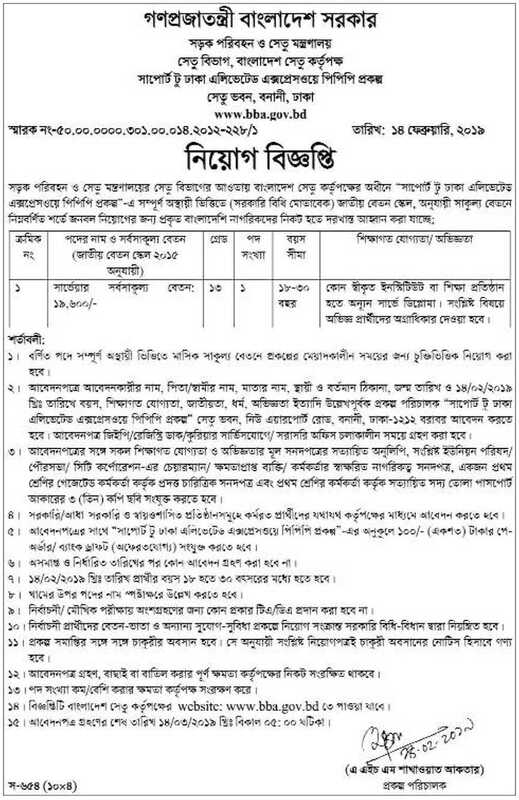 Ministry of road Transport and bridges job circular 2019 has been given bellow. সবার ঐ একটি চাকরির ই দরকার ভাই ! !